As a custom label manufacturer, we routinely print and convert a very wide range of materials ranging from standard papers to highly technical films, foils, tag stock, adhesives and other thin gauge materials available on rolls. Our products can be printed on any kind of material, with any type of adhesive, and in any color, shape or size. Printing can be protected with a variety of aqueous or UV-cured coatings or with a wide range of protective laminating films. 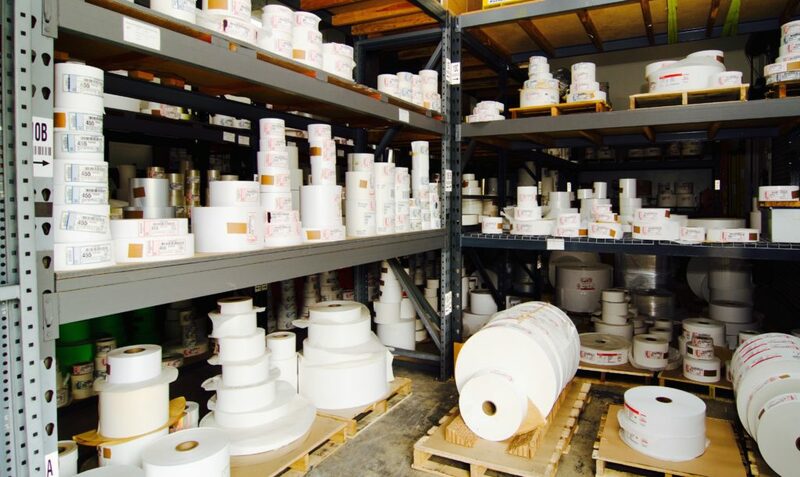 We not only maintain a large and diverse inventory of label stock, our plant is ideally situated to receive next-day delivery of material from most of the major suppliers to our industry.